Matthew Graham John Thorne, 46, of Fairway, Sandfields, Port Talbot, came to the attention of Neath Port Talbot Council waste enforcement officers after a member of the public complained about waste which had been fly-tipped on the road between Goytre and Bryn, Port Talbot, in April of last year. 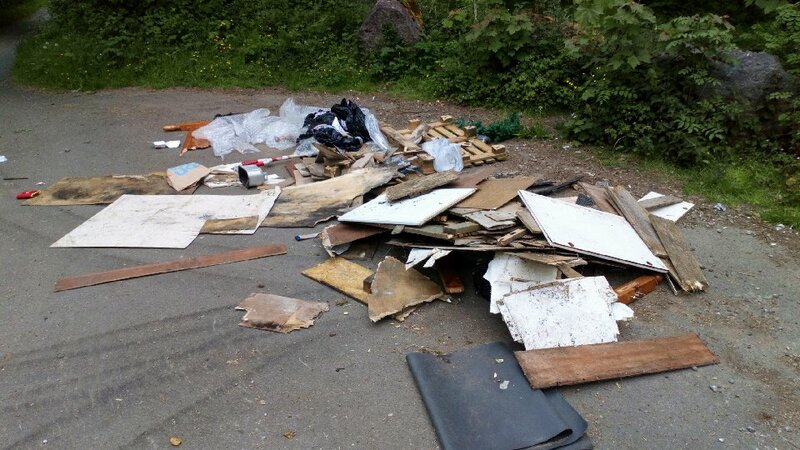 The road regularly suffers with fly-tipping due to its isolated location. The fly-tipped waste consisted mainly of wood. The officers traced the waste to Mr Thorne who admitted, under interview, paying “a man in a plain blue van” £30 to dispose of it for him. But Mr Thorne was unable to tell officers the name of the person who removed the waste from his home. A search of the Natural Resources Wales database showed there was no Environmental Permit in place for the location where the waste was discovered. At Swansea Magistrates’ Court on April 9th this year, Mr Thorne admitted failing in his Householder’s Duty of Care to ensure his waste was properly disposed of, an offence under the Environmental Protection Act ,1990. He was fined £100, given a £641.43 costs order plus a victim impact surcharge of £30. Councillor Ted Latham, Neath Port Talbot Council’s Cabinet Member forStreetscene and Engineering said: “Neath Port Talbot Council makes more prosecutions for fly-tipping than any other authority in Wales and this case highlights that when we trace illegally dumped waste back to residents we will also prosecute them if they cannot provide details of who they gave their waste to. • Make sure they receive a 'Transfer Note' (Official Receipt) from the carrier. • Take the vehicle registration number from the carrier.